I saw The Blair Witch Project on the first showing of opening day and I loved it. It was original and it was scary. I'm even into Book of Shadows, which was a deeply flawed movie. I was pretty surprised to find out that, in the year 2016, I would get a proper sequel to The Blair Witch Project. How well does Blair Witch compare? Not great. 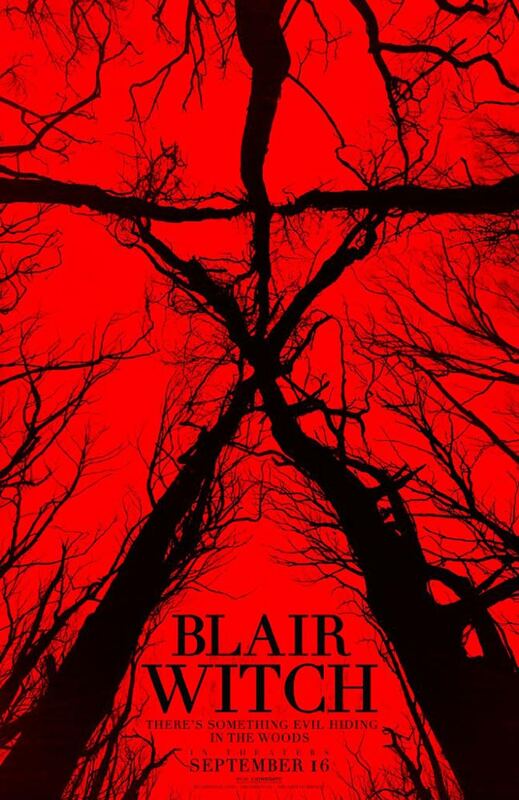 Blair Witch is a found footage style horror movie, following James as he tries to find out what happened to his sister Heather when she disappeared in the Black Hills forest during the events of The Blair Witch Project. After seeing some online footage someone found that he believes shows his sister is still alive, he gathers up three friends, the two locals who found the footage, and they all head into the Black Hills forest to look for the ruined house Heather disappeared in. Blair Witch suffers from not buying entirely into its own premise. It purports to be compiled from footage found in the Black Hills as recorded by the members of this doomed expedition but the completeness of this footage means they must've found all of the recording devices. Given the fates of some of the members, this is difficult to believe and it gets harder to believe as the movie goes on. Contributing to this, every single person of has a camera, minus the two locals who only have one camera. Obviously, if you're filming a movie, all these cameras give you a great degree of flexibility when it comes to how to portray a scene, but it totally wrecks the illusion of reality that a found footage movie should create. There were several points in time when I questioned who was wearing the camera that captured some of the scenes in the movie. For a found footage movie, these are serious offenses, and it's weakened by the fact that the actors are actually acting. What made The Blair Witch Project special was the feeling that those people were not acting, because they weren't. They were amateurs who were lost in the woods and it's a visceral feeling. Nothing in Blair Witch comes close. What it does do right is the ending, and I don't mean that in a snarky way. Blair Witch does effectively build to a screeching crescendo and it's extremely satisfying, even if some of the events of the last 10 minutes aren't perfectly clear. To me, that's kind of a good thing. The movie could have done with more unexplained stuff. Despite my complaints about how it's made, it's not terrible. It just doesn't achieve what it sets out to do. Top to bottom, this isn't a great movie. It's essentially just a worse version of The Blair Witch Project with a cast twice as large and too much Hollywood influence. Blair Witch Project haters will be justified. Fans will find nothing new in this movie. If you haven't seen any movie in the franchise, this is not the place to start. I'm not the type of person to say it's impossible to make a movie in the style of The Blair Witch Project effectively, but this is not the way it's done.